Alright, you guys; I think it’s time we got to some bold flavors. This recipe is for when you really want to kick it up a notch and do things your own way. And even though this chili-esque stew requires a dutch oven and a couple of hours cooking time, it couldn’t be simpler or more delicious. So money. I ran across this recipe on Epicurious and didn’t really change all that much other than adding beans and thickening it at the end. It’s tough to improve on a dish that’s mostly pork and beer. 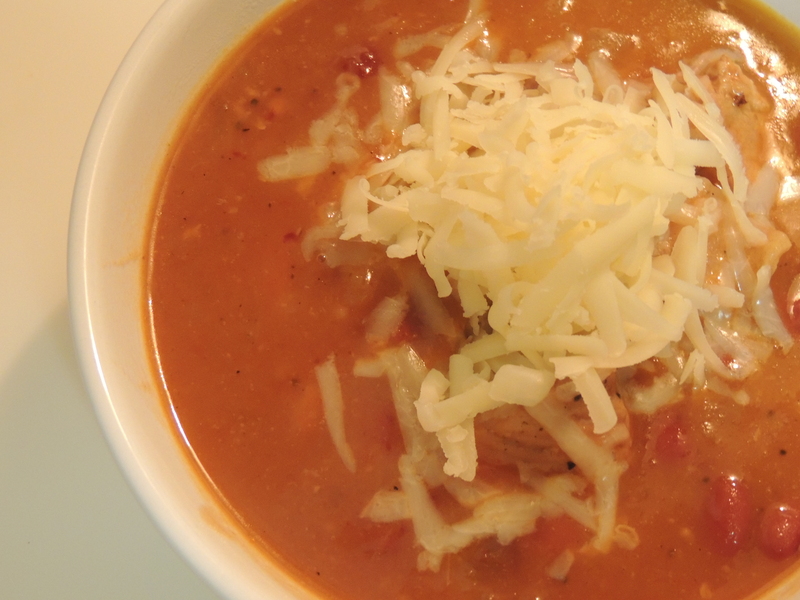 I’d highly recommend treating this stew like chili and serving it with Fritos, sour cream and cheese. The works, really. I forgot to buy those things at Publix, but that kept the cost of this meal down to around $10 and I already had some cheddar from my failed bechamel sauce. Beware, because the recipe as-is makes an extremely spicy stew. You can cut down on the heat by reducing the amount of chipotle en adobo. Also, I’d recommend using a good pale ale or similar beer (I used Sweetwater 420) over something like Bud Light. The beer is your only liquid, and you want it to add to the flavor as much as possible. But really, this recipe is super hard to mess up, outrageously flavorful, and burns with the heat of a thousand suns. Oh, and if you don’t cheer for the Falcons in the NFC Championship, you’re probably a wannabe Jersey Shore cast member like Colin Kaepernick. Cumin, pimenton, salt and pepper. Cut your pork into 1 inch cubes. Heat oil in a dutch oven over medium-high heat. 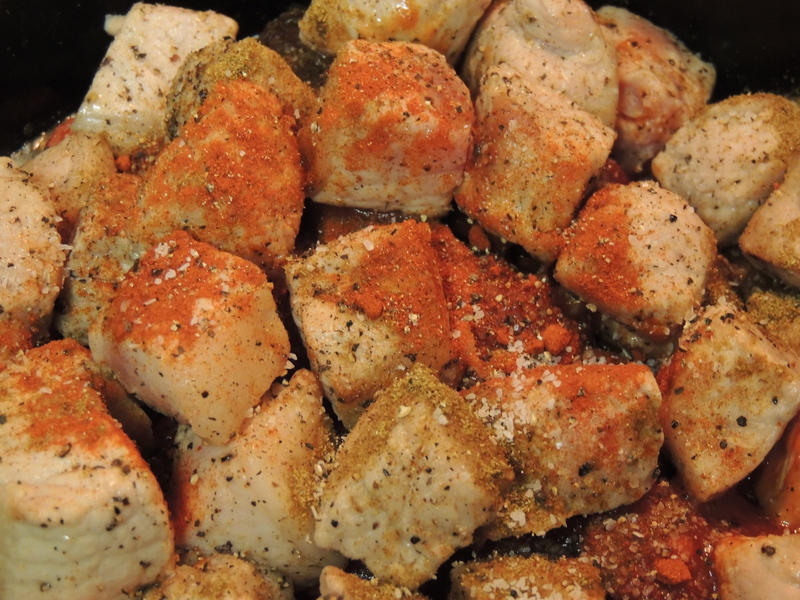 When hot, add pork and sprinkle with salt and pepper. Brown pork on all sides until you don’t see any more pink. Remove pork from dutch oven and reserve on a plate. Dice up two onions. Mine were a little big, so I ended up with half an onion left over. Turn heat to low and add onions to oil and pork drippings. Stir a few times to coat the onions in oil, then cover and cook for about 10 minutes. Add reserved pork, 1 tablespoon cumin, 1/2 teaspoon pimenton (smoked paprika, or regular paprika if you can’t find it smoked), beans, chipotles, and beer to the softened onions. Add salt and pepper to taste. Simmer, stirring occasionally, for an hour and fifteen minutes. When your pork is fork tender, remove about a cup of cooking liquid from your pot and whisk it with the flour in a small bowl. Add this thickening mixture back to the pot and bring the heat up to medium for about 10 minutes. Serve with your favorite chili extras.